Stunning renovated condo with no detail missed. Everything is top notch. Look at the pictures of kitchen you'd never expect in low rise oceanfront condo. You also have your own front loading washer and dryer. The beach is a few steps away. Lie in bed and look at the ocean or sit on your large screened balcony sipping an exotic drink watching the waves crash onto your white sandy beach. You have private gated access to the beach and a wonderful pool to relax in when you return. This beautiful condo is on the top floor of the complex. 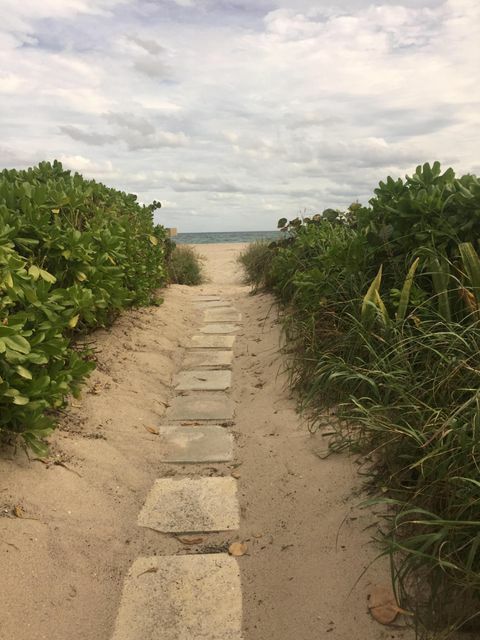 Singer Island offers more than just a beautiful ocean, great restaurants, shopping, jogging/biking areas and a state park are all close by.